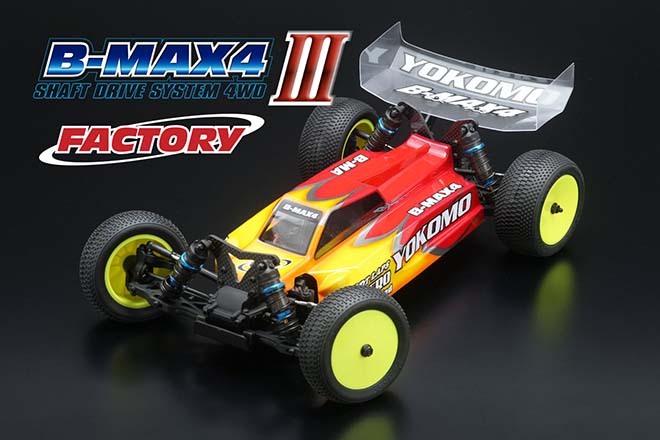 In the 2014 JMRCA All Japan Championship held at Yatabe Arena, Five major cars, including TQ & One-on finish, advanced to A main, the euro offroad series opener, the Asian off-road championship and continued big race It is a machine reigning at the top of the 4WD off road car. 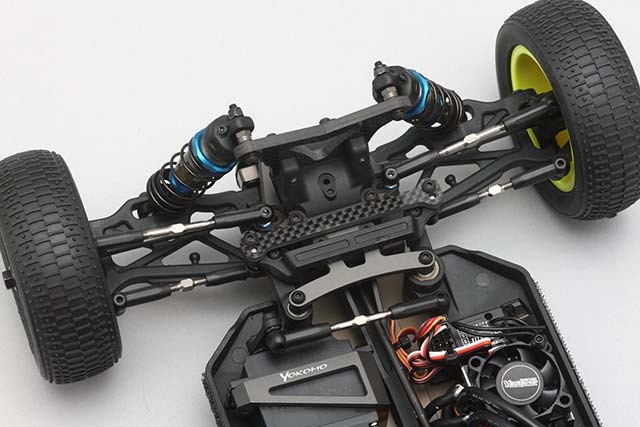 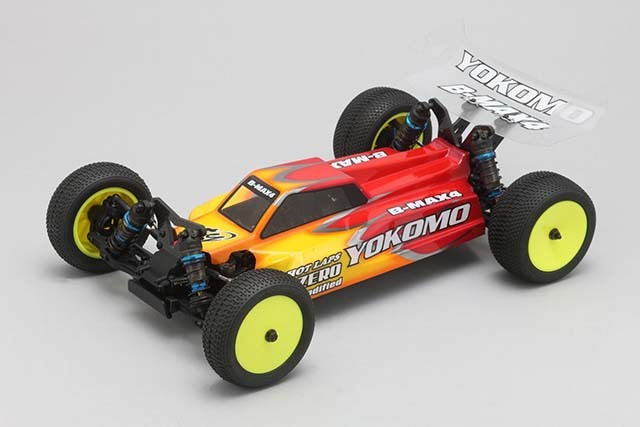 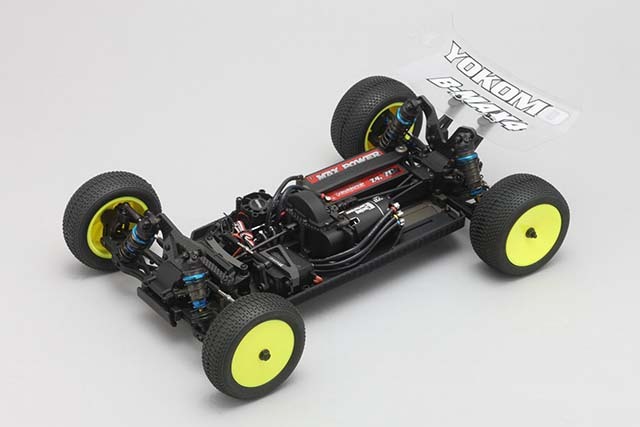 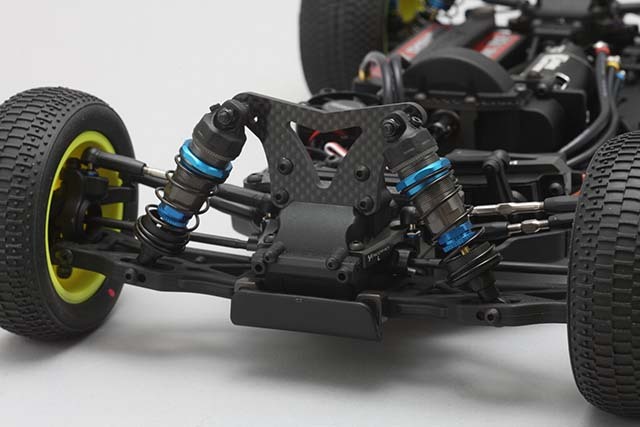 And the machine of the specification which the team Yokomo’s driver is using for the race is released, it will be kitized as the ultimate spec that corresponds to the world top class race. 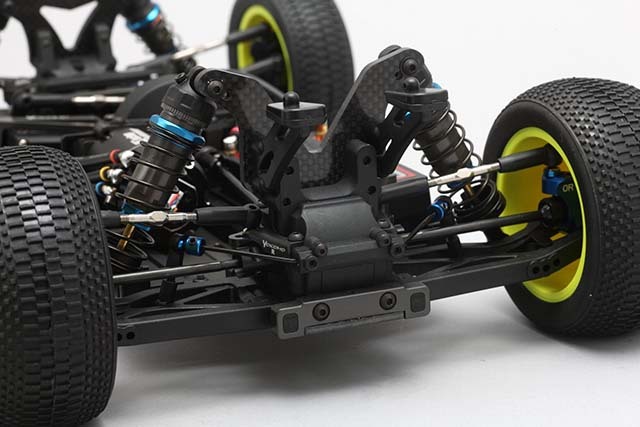 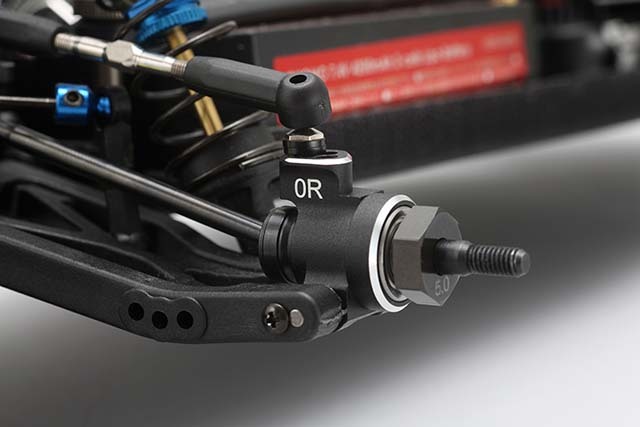 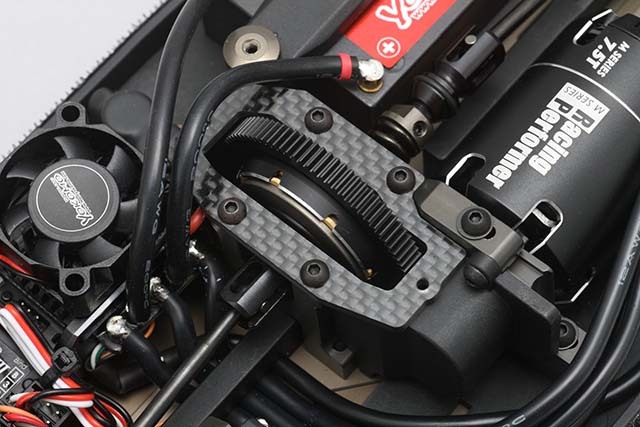 Based on the light weight chassis that enhances the movement performance of the chassis, it promotes weight saving with graphite center mount plate and titanium turnbuckle. 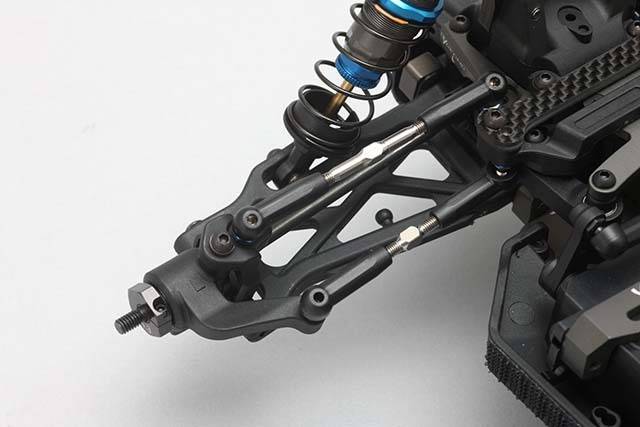 We maximize traction with titanium coated shaft and oil damper tune with high precision piston and aluminum rear hub carrier (new black alumite specification). 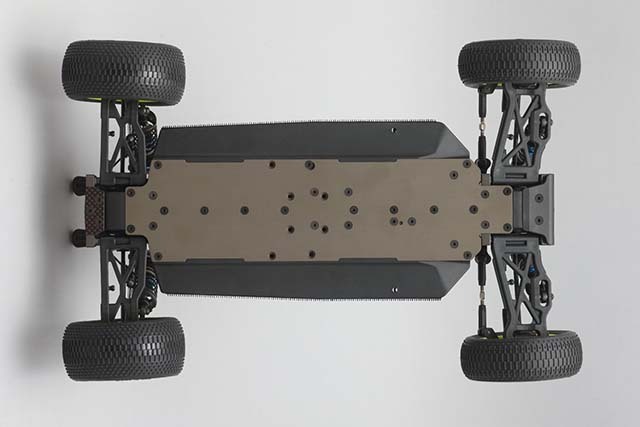 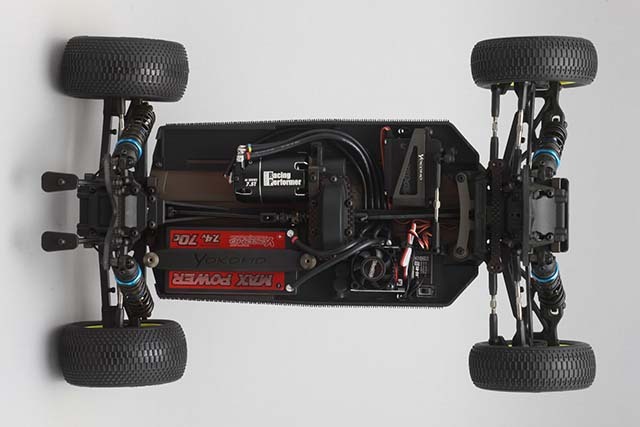 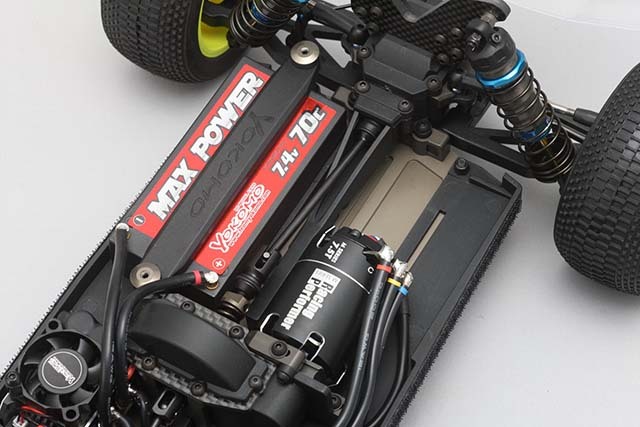 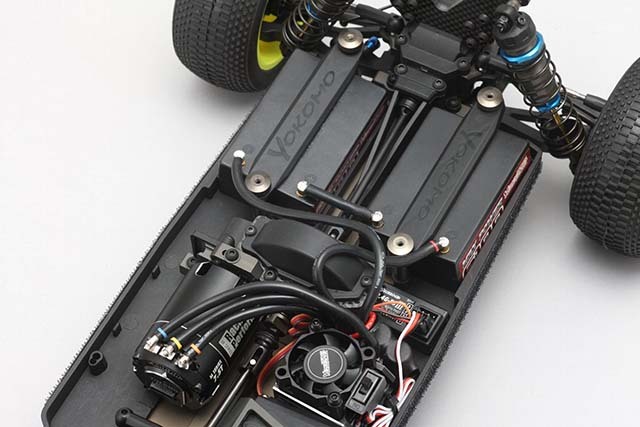 In short Li-po specifications, it is particularly effective to improve motor performance on a high grip road surface, but it is a package that demonstrates high performance on various road surfaces, such as increasing the rear traction with separate battery pack specifications and wide range of setting.